I'm thinking about making a Katawa Shoujo fighting game. Here's a quick sketch showing Rin's potential fighting stance and a few moves. The problem is I have no idea how to program, so I'm going to need suggestions on how to make the actual game. I'm currently thinking about using the Mugen engine since it seems moderately easy to use. Lily needs a sword inside her cane and Hanako needs fire specials. Shizune and Misha need to be one of those tag team characters with both of them signing orders to each other during combat. Or maybe Shizune should be like Carl Clover in that she's the only one who gives orders. Kenji also needs some kind of drunken fighting style. Hisao... I don't know maybe he can throw balls at people or fall off a roof onto his opponent as specials. Here's my initial planning sketch for each character's stance and fighting style. Here's how I'm planning to design the character's movesets. -Blind swordsman. Swings her seeing-eye stick like a sword. No actual sword hidden inside. -Her disability shouldn't affect her fighting style, so I made her the shoto clone. Every fighting game needs a shoto clone. -Her fireball is the "Deaf Yell". She makes that awful wail that only deaf people can do, and an explosive speed bubble comes out of her mouth. -I thought about having Misha be an assist character for Shizune, but I think she's popular enough to be her own character. -Uses unlady-like attacks like headbutts. -Short range attacks that's compensated by her fast move speed. None of these ideas are set in stone. I actually haven't played the VN yet, so I'm not exactly sure if these fighting styles fight the character's personalities. I really like that Hanako + Flame Attacks idea. Perhaps she has a move like Blanka's electricty, except with flames and terrified screaming. There are a few existing game engines on the net that are in the public domain. (free to use with out copy right issues) The easiest one i've found is Mugun. Its similar to the one used for the old Street fighter Games from the 90's. Though you'll still have to make your own sprites and move set for all the character, so it still needs some coding. I can imagine Hanako cowering in fear when she blocks. Also, does anyone have any ideas for ridiculous special attacks? Needs Molly as a secret character. G3n0c1de wrote: I can imagine Hanako cowering in fear when she blocks. Also, does anyone have any ideas for ridiculous special attacks? I think it'd be funny to give Misha something in a similar vein to Mic Kirby. or Za Warudo. I enjoy everything the devs hate. This includes and is not limited to: Pokemon, K-ON! and Lego. Things like this are technically in breach of the game license, Creative Commons BY-NC-ND. But as long as you don't use ripped assets, it should be fine. <cpl_crud>	but that's no fun. <cpl_crud>	Anything that doesn't use the exact assets from teh game is fine by me, and also no commercial works, period. So, provided we make no money and use fan-made sprites and ideas, we're allowed? ZystraL wrote: So, provided we make no money and use fan-made sprites and ideas, we're allowed? As long as you don't use extracted in-game music, art or backgrounds, you're fine. Wtf, Crippled/Heart wanting to become real? Good luck and Godspeed. I think you'll need lots of both. Shizune is the leader type. She controls and manipulates others. Her attacks should be about leading the opponent, rather than simply inflicting brute force. I recommend either aikido for control or wing-chun for efficiency. I'd even recommend a few judo throws to emphasize how she manipulates people. All attacks should be silent. (Unless you are going to stick to the deaf wail.) This will contrast her to the other girls, who I assume will have a battle cry to go along with all attacks. This doesn't mean that the different girls couldn't have interesting reactions to one another before or after a fight. For instance, Shizune and Lilly could have witty banter before or after a fight (with Misha translating). 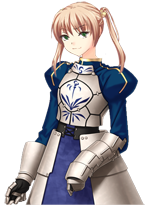 Hisao shouldn't be a fighter, but the prize you win. Lilly Should have an animation where, after winning, she just keeps swinging her cane. "Take this you cur!And this! And this and this!." "Lilly! The fight's over! You win!" "Um.. As I thought! Huzzah!" I want an unlockable yellow tracksuit with black racing stripes for Emi. Rin Raising a foot for a block can really knock one off balance. I'd recommend turning the body a little and bending your forward knee into the attack, while keeping your feet planted. She'll look like a silly Betty Boop, but I can attest it is effective. Speaking of Rin, I think one of the stages should be the mural in front of Yamaku. Last edited by A_Gray_Phantom on Sun Aug 23, 2009 5:37 pm, edited 1 time in total. "Um.. As I thought! Huzzah!" - by me. that was a rant how? Rin isn't clumsy, she's one of the more graceful characters. The clumsiest characters are Yuuko and Hanako. I'd look up videos of Jhun from KOF and Garnet from Rumble Fish. They're both 2D fighting game characters who do not use their arms in combat. Keep in mind that Rin wouldn't be a rushdown character, so she should be more inspired by, say, Guile than E. Honda. Shizune should play like a combination of Leona and Clark from KOF if anything. Hisao or Misha should be the shoto. 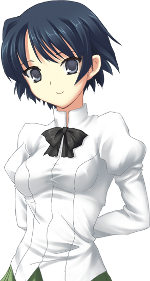 Since Shizune has an aggressive personality, her playstyle should be very rushdown-oriented. Shizune is probably the only KS heroine who could be a grappler, so you might want to also look at Hinako and Blue Mary as well. Lilly should play like Hibiki in her Capcom vs. SNK 2 iteration, or EX Johnny from GG Accent Core. Pick one. She's a graceful character so the emphasis should be on quick hits and counter ability, not multi-hit combos. Hanako can be Kyo Kusanagi. It's pretty obvious. Give her Shadow Dio's book counter as well form the Jojo's Bizarre Adventure fighting game. Emi should be fast and weak, but she shouldn't have lots of grapples. I'm thinking she should play like Jill Valentine in MvC2 but without the rocket launcher or the Tyrant. For versatility, give her a fully invincible on startup super that will move her across the screen and auto-combo on hit, kind of like Bang's super in Blazblue. It would give her the ability to tack extra damage onto combos because it could be incorporated into them, and could punish unsafe moves. Misha should play like SF4 Rufus or 3S Ken with Makoto's SA1 and some kind of dash punch instead of fireballs.